The Ethical Butcher book now on sale! Chef, butcher, blogger, workshop conductor and friend of Le Pick-Up Berlin Reed is now also an author! 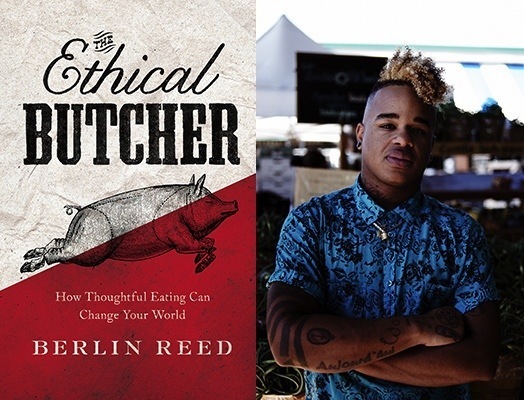 His new book, The Ethical Butcher: How Thoughtful Eating Can Change Your World, published by Soft Skull Press, is currently available on the Dep’s literary rack for $26. The book details Berlin’s journey from vegan to butcher, with personal anecdotes sitting aside philosophical musings on food ethics. Columbia Journal has a thoughtful review for those interested in knowing more. Also for sale is Berlin’s self-published cookbook zine, retailing for $7.